They are soooo good. I hope you try them! You should. They are so good. My family loves them. YES!! What a great recipe, they look delicious!! Oh yes you should make it as your first dish minus the meat. 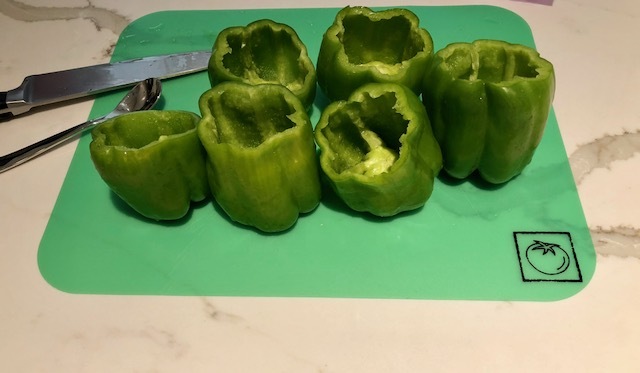 You could put more bell peppers inside or another veggie. Looks so yummy! I love any spin of a stuffed bell pepper! I have tried a version of these, but not this exact recipe. Thanks for sharing... will have to add to our meal plan. I’m glad! I hope you try them and enjoy them! 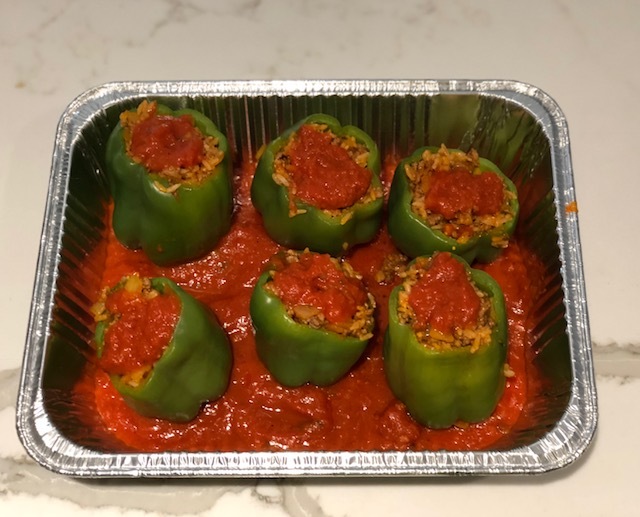 I am always looking for a new version of stuffed peppers. I have made them a million ways. These look yummy and a lot closer to the version that I grew up with! Me too. I always love trying new versions. I hope you enjoy. 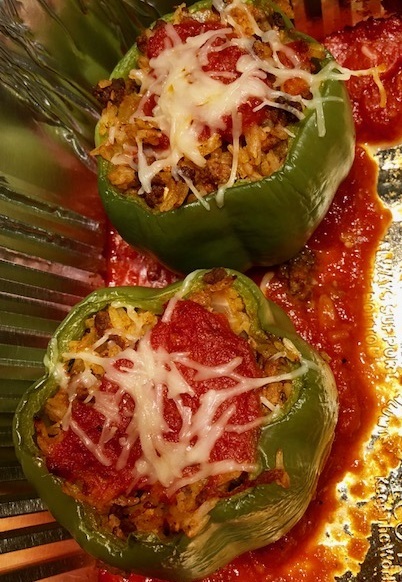 Stuffed peppers are a staple in our house and they are so delicious! 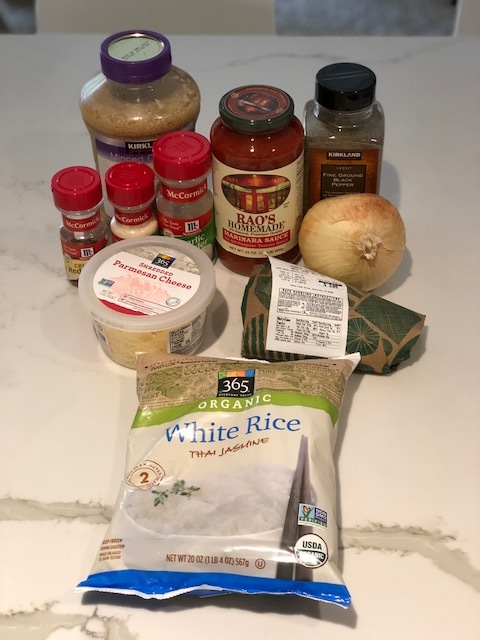 I would have never thought to use spaghetti sauce, but I'm going to try this with my recipe. I LOVE stuffed peppers and haven't made them in forever!! This post just inspired me!! YUM!